A jaunty romp through the history of the Golden Age of Music Hall, sometimes revealing its dark underbelly. 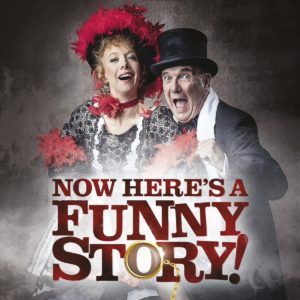 Experienced Music Hall artists, TOMMY PARSONS & AIRLIE SCOTT take you on a journey from its very beginnings through to its 1890s heyday with the likes of Marie Lloyd and Champagne Charlie, onto wartime recruitment and the cross-dressing Vesta Tilley of the Great War. Directed by Jan Hunt of BBC Television’s The Good Old Days and Paper Moon Fame. 35 tickets available in advance and 45 on the door.